I often talk about the idea of mixing established genres of games and mechanics. It’s an incredible gamble for a developer as they need to break the players perceptions of how something works on its own and then mash it up with something else whilst maintaining the integrity of their game. I’m not going to rally on games this didn’t work with recently but at least I can write this review with positivity. 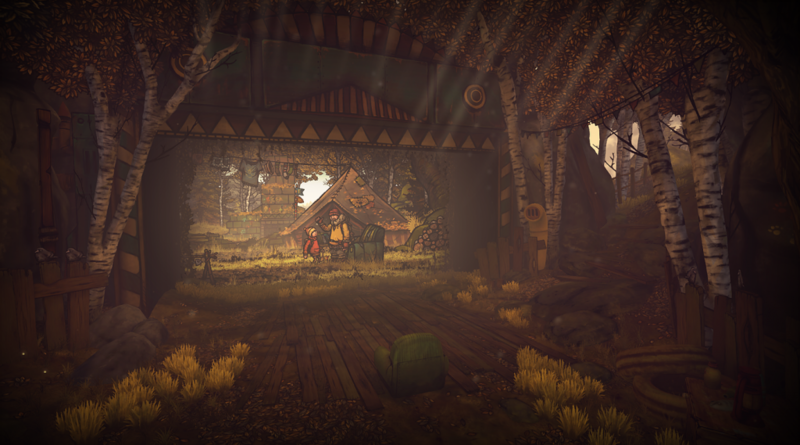 Oddbug Studio has produced a game that unnecessarily brings together a VR experience with an arthouse platformer, and somehow it works wonderfully. The Lost Bear is the story of a girl called Walnut who is out in the woods with her brother. As she’s wandering about and learning how to use her catapult she loses her cuddly bear only to find it’s been stolen by a horrible creature. Using relatively simple platforming and minor puzzle solving you must traverse 5 different levels to reclaim your childhood friend. On the face of it all of that sounds rather simple, and it is, but where The Lost Bear becomes something special is in it’s presentation. In Playstation VR you will find yourself sat in an arm-chair in front of a stage. 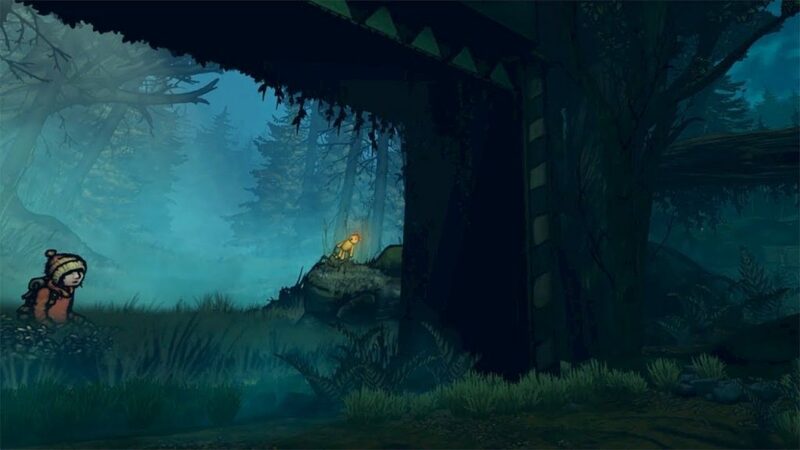 This stage appears to have been set up in a woods similar to the one being shown before you where Walnut is having her adventure. Quickly the player will realise that the game world is bleeding out into the VR world and it all becomes Inception levels of immersive. As day turns to-night so does the world around you and as you progress to new levels the world around you changes to match the new locations Walnut finds herself in. this sounds somewhat gauche and on the nose I appreciate but as a way of keeping the player involved in a VR platformer this is gloriously emotive. 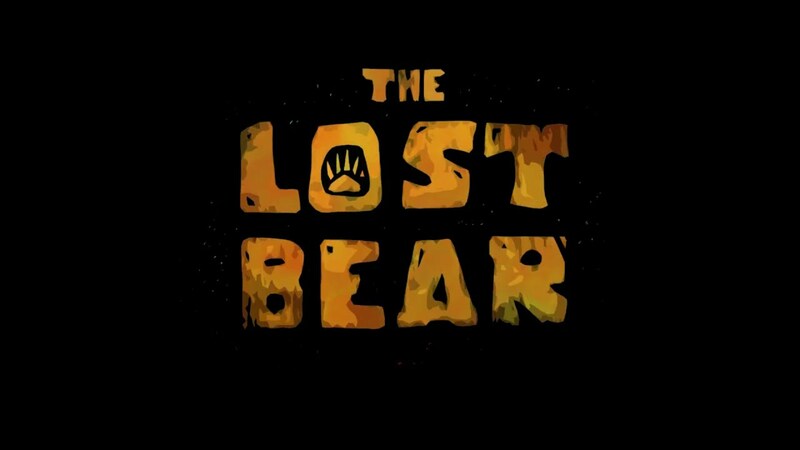 I can’t pretend that The Lost Bear is particularly long or deep, it could be said that this is closer to an experience over anything else, but it’s a hell of an experience. There really wasn’t much difficulty in the game, the only times I died was down to me not getting the physics right on rope swings or just pressing jump too late. The puzzles are pretty smooth affair for anyone who’s played a game before, the only one to prove troublesome was involving a magnetic crane in a junk yard that stumped me for longer than it should have. Even with this time replaying the same junkyard puzzle over and over I still finished the game in one sitting after about 90 minutes. This raises a question over the cost of games and the time within it. 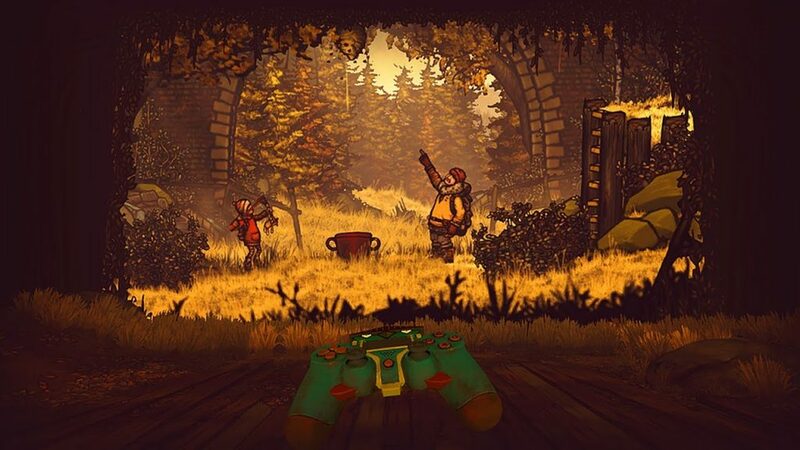 Personally I am of the viewpoint that a trip to the cinema these days is pushing £15 so any game that lasts 90 minutes or longer for less than that is an acceptable cost, especially when it’s as good as The Lost Bear is.